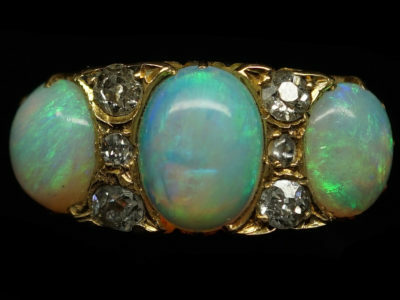 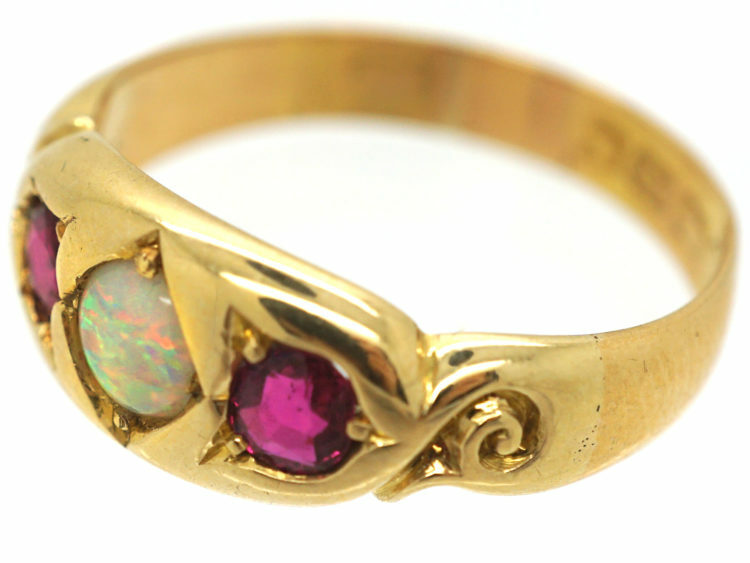 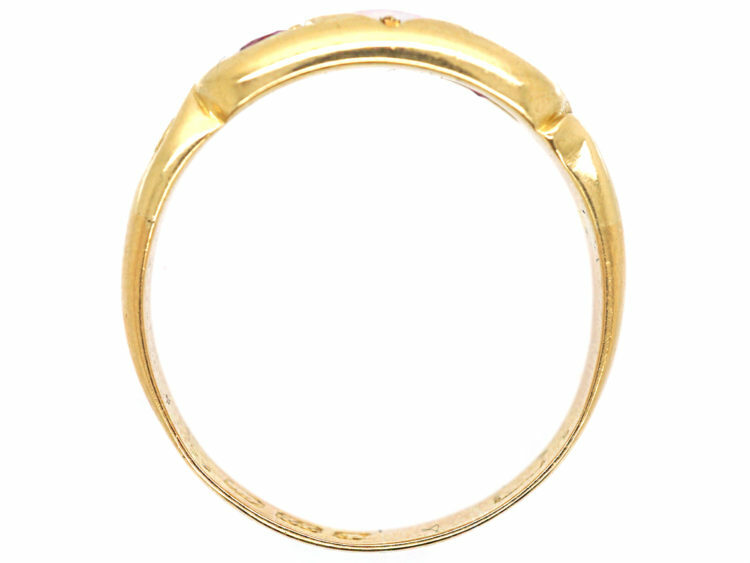 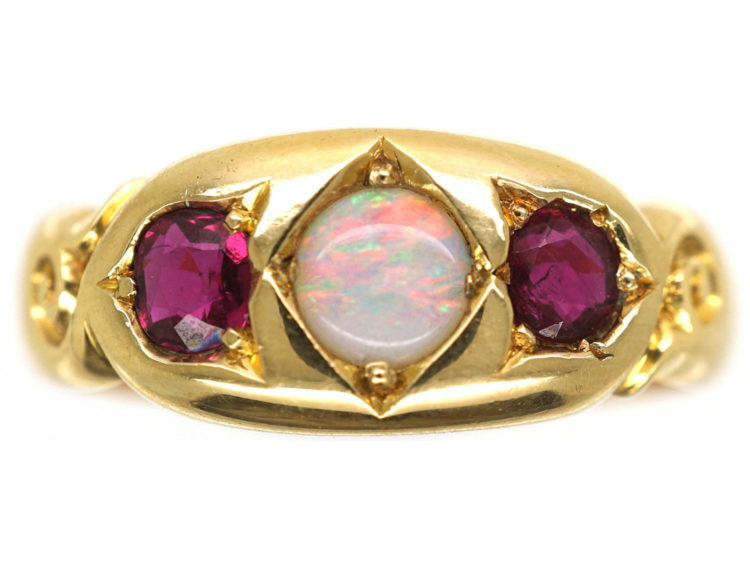 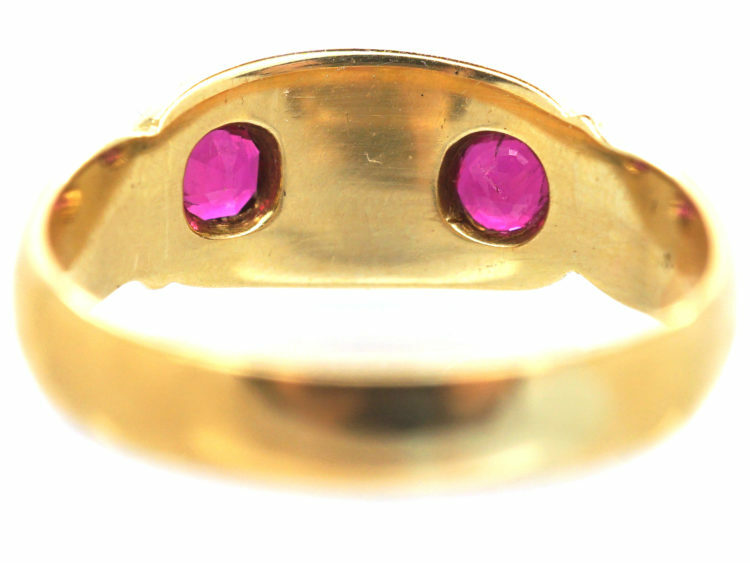 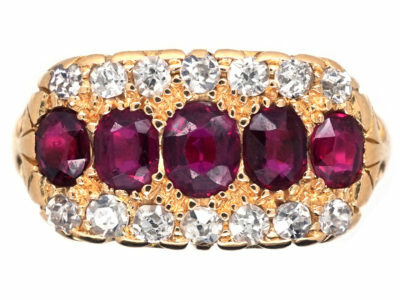 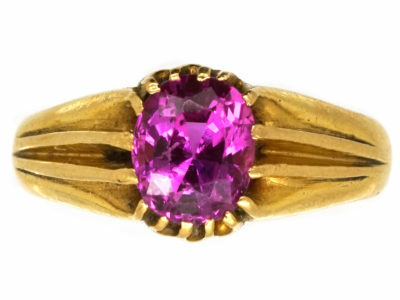 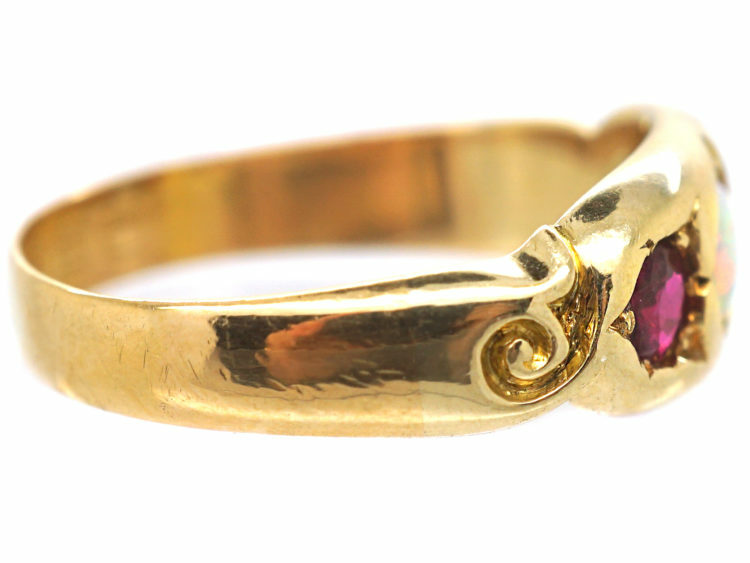 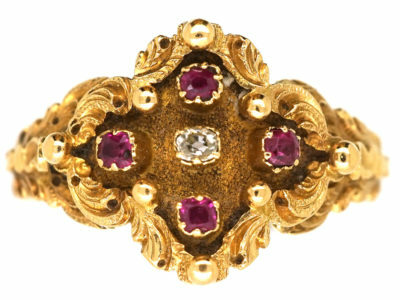 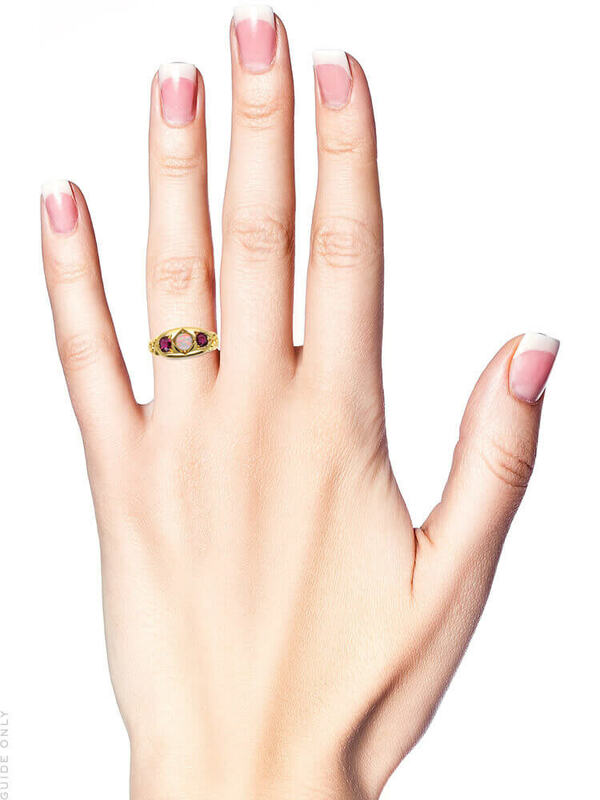 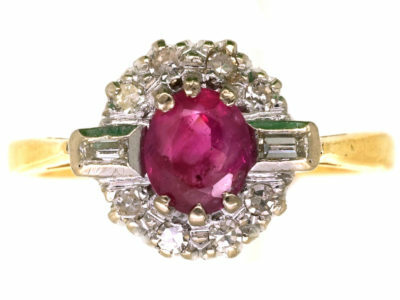 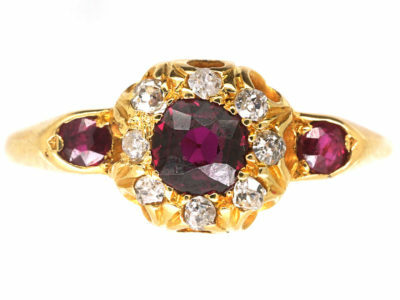 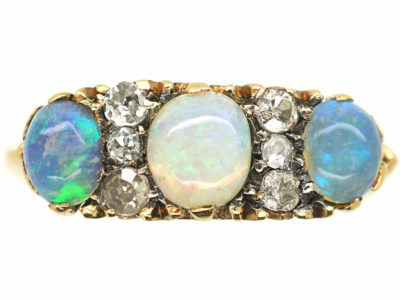 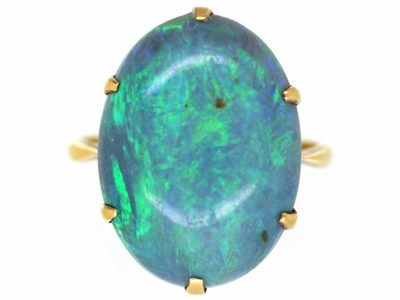 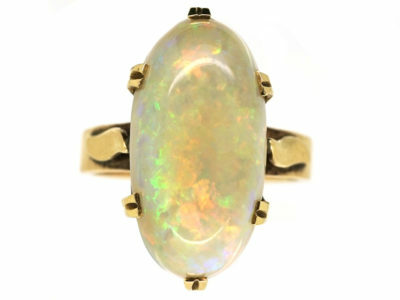 A lovely 22ct gold ring set with an unusual combination of a colourful opal in the centre with a ruby on either side. 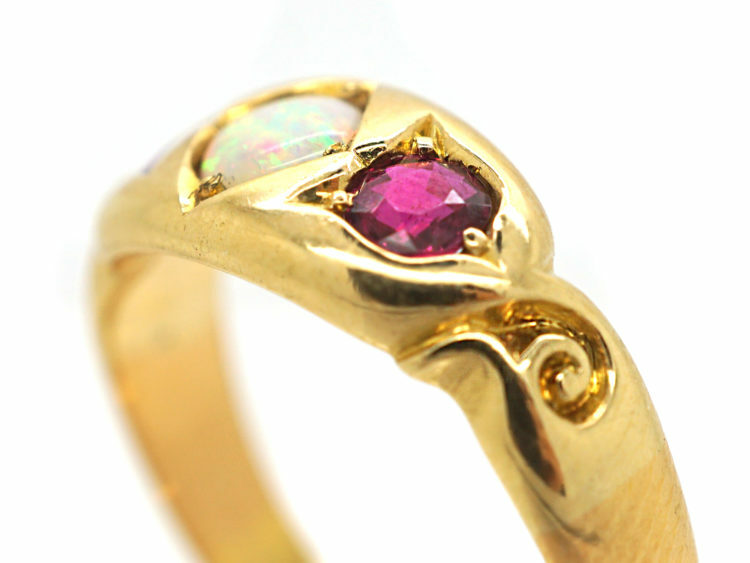 The rubies compliment the red within the opal. 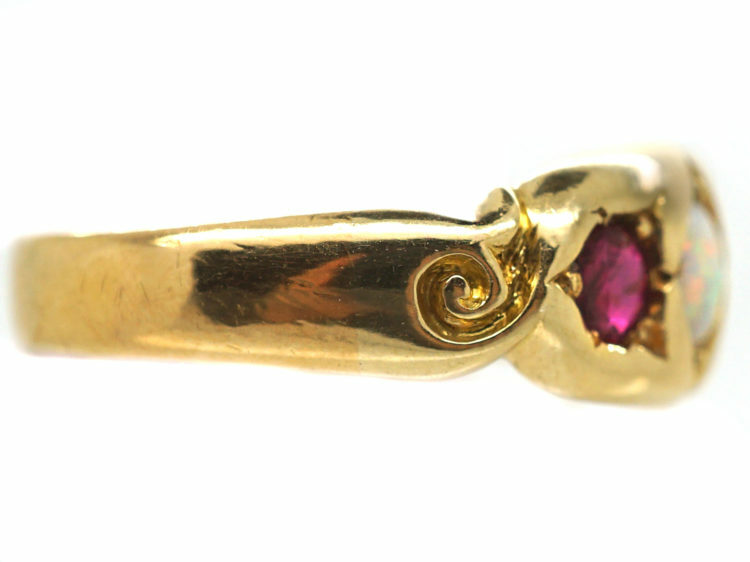 The shank has good crisp detail on the shoulders. 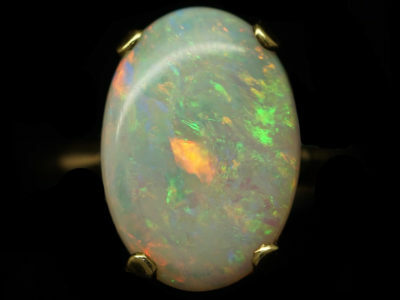 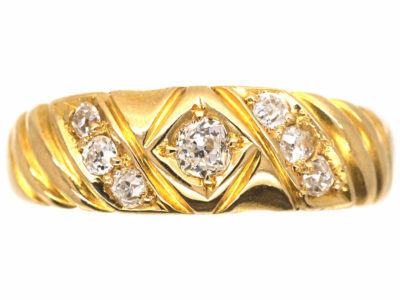 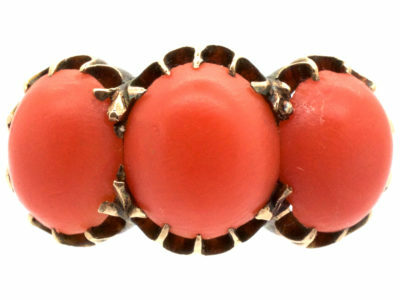 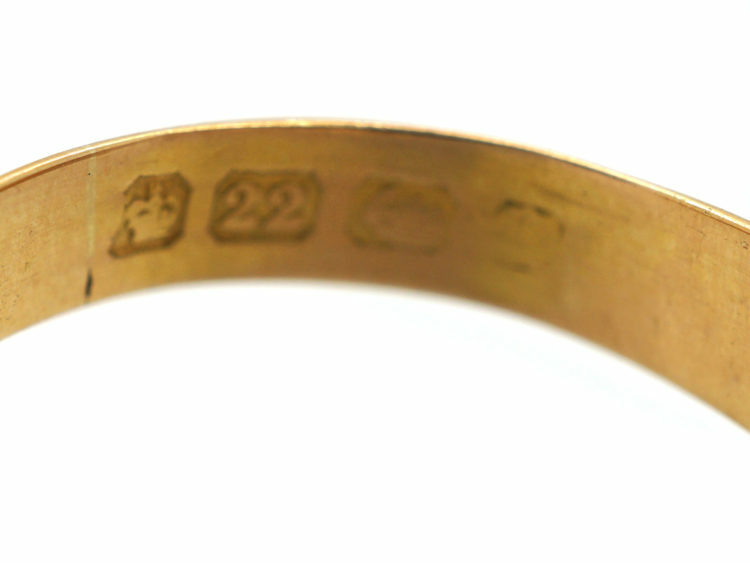 It would make an unusual engagement ring or a dress ring.